HTML is open standard markup language for creating web pages and web applications. HTML files are basically plain text files, this means software applications and human users can easily create, read, and update web pages. The open nature of HTML not only allows users to edit websites with nothing more than a simple text editor, and anyone can view source and copy the HTML source code, and apply to their own usage. Keep automated downloaders like WebZip from copying your entire website. Protect website member area paid content cannot be copied. Keep spam robots from getting email addresses and copy text from your pages. Protect your company web page such as financial report, technical document can only be viewed under your control. 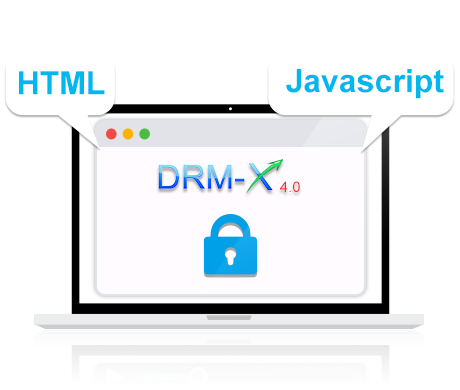 Try DRM-X 4.0 For Free, you can easily protect your HTML today. By encrypting HTML pages and code using DRM-X 4.0 Xvast Packager, you can control who can view your web pages, what they can do with them (copy, print, etc.) and when they can no longer be viewed (expires).